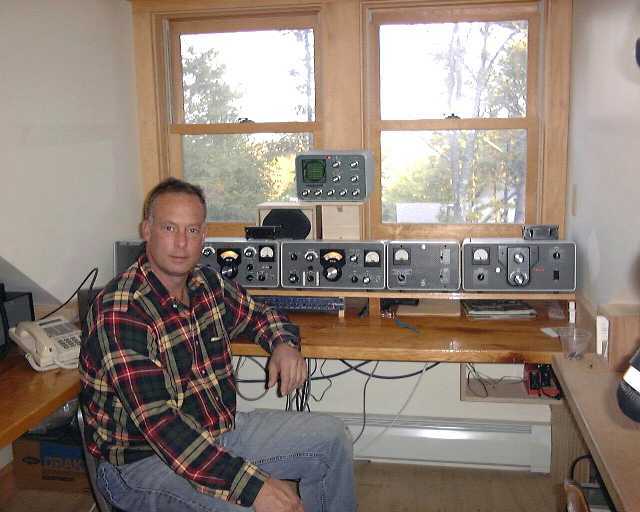 This page is dedicated to my good friend Bruce Marton, K1XR. Bruce is a very keen Collins and Drake collector. On this page, we pay a visit to his magnificent station. The main S-Line operating position, with 516F-2, KWM-2A, 75S-3C, 312B-4 and 30L-1. 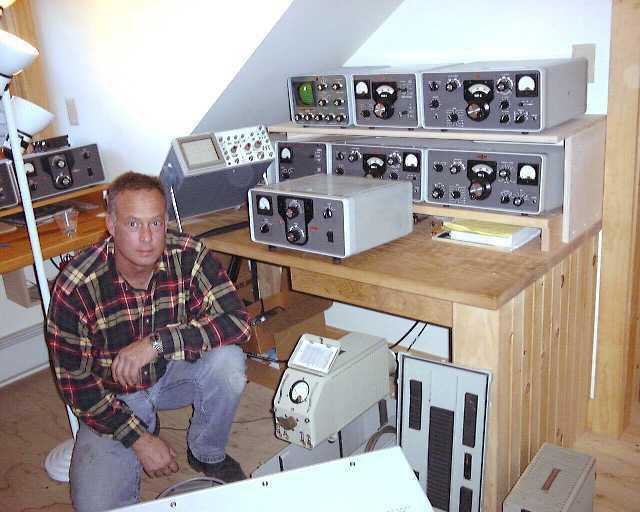 The KWM-2A is used as a transmitter/transceiver, with the 75S-3C. Note the Symetrix 528E voice processor, used with a Shure SM-7 microphone. Another look at the main S-Line operating position. The view from the operating position is to the east, over the Atlantic Ocean, from the top of a 125 ft. cliff. 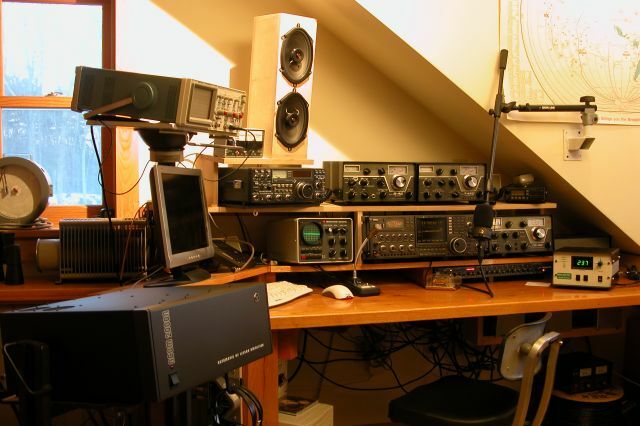 The new operating position, with Icom IC-781 and IC-751A, Acom amplifier and Drake C-line. The Audio Technica AT 3525 mic and Symetrix 528E voice processor can also be seen. Newly acquired goodies from the Rochester, NH Hamfest (oscilloscope, 30L-1, TS-118/AP). 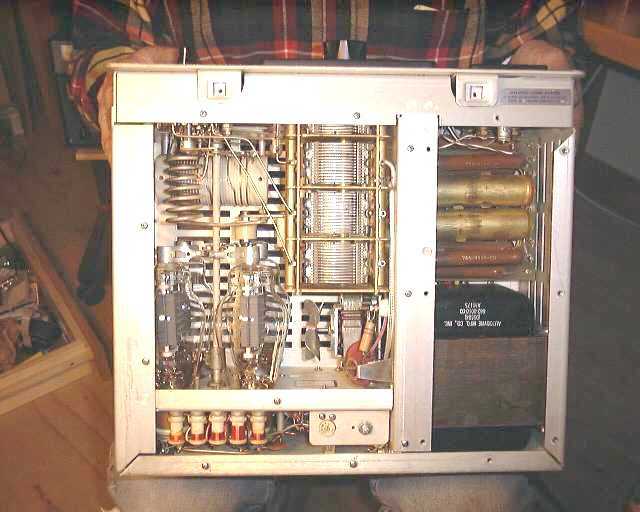 Interior view of the 30L-1, after we spent 3 hours restoring the interior and rewiring the power supply for 240V mains. 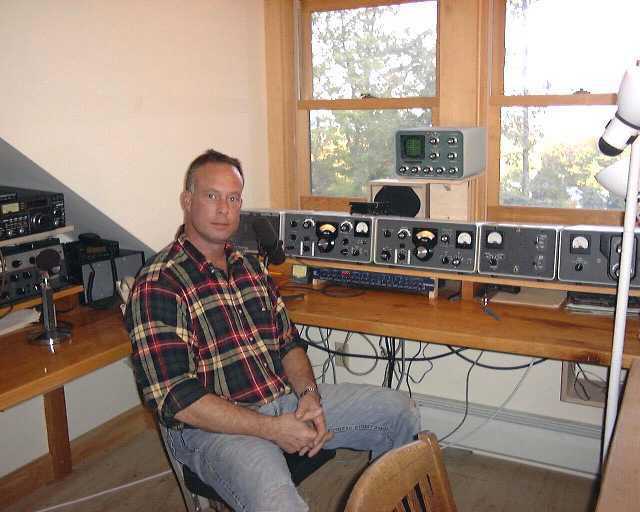 The tower, with 10-element Tennadyne T-10 13-30 MHz LPDA on a 30 ft. boom at 200 ft. over the ocean. 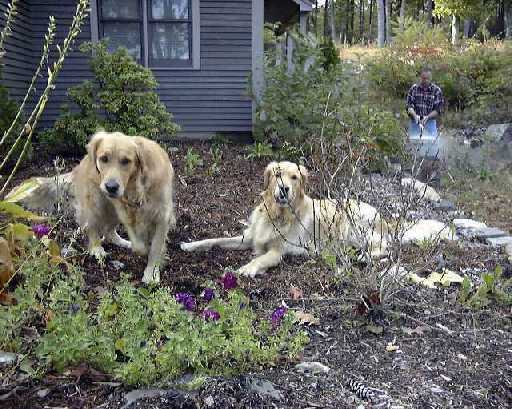 Two family members, already guarding the new acquisition. 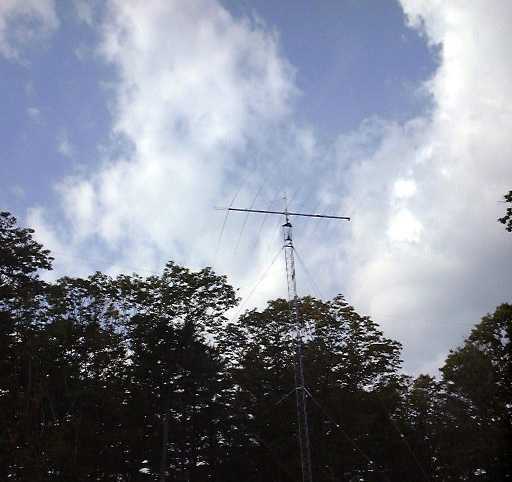 The new homebrew 20m 7-element Log-Yagi in position on the tower, with K1RX on the tower. 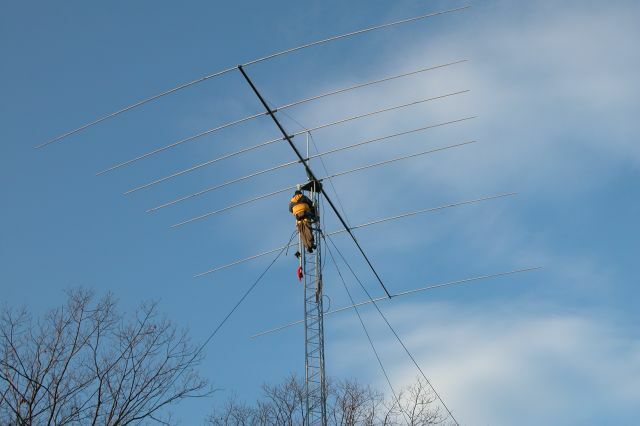 View a slide show of the antenna construction project. for a thumbnail history of the Collins Radio Company. We hope you enjoyed your virtual Collins and Drake tour. Please stop by again. Copyright © 1999 A. Farson (including images except where noted). All rights reserved..